Six participants successfully completed the 2011 Summer Hands on Training conducted by ASP Laguna from April 25 to May 20. 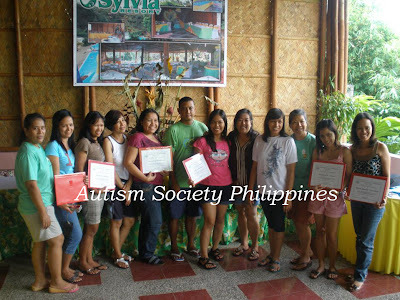 The participants, 3 mothers and 3 aspiring teachers for special children had their culminating exercises at the Villa Sylvia Resort in Nagcarlan, Laguna where they were joined by the young adults of the Autism Resource Center. 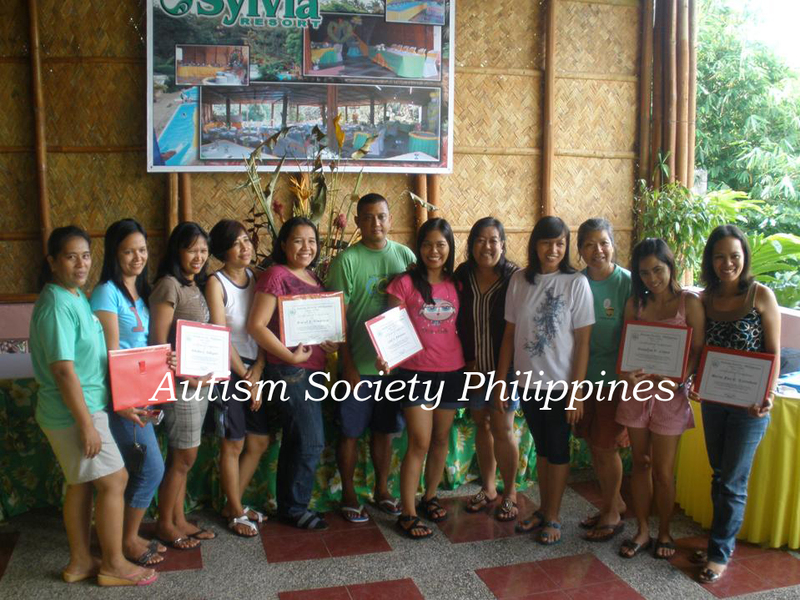 The six participants posed in the picture below, holding their certificates, along with the ASP Laguna Training Team, from left: Ms. Lian, December Banzuelo, Edith Edlagan, Ms. Vay, Aracel Temprosa, Sir Jerome, Leah Adviento, Ms. Marivic, Ms. Cathy, Ms. Riza, Danalyn Lopez and Ma. Ana Estranero. 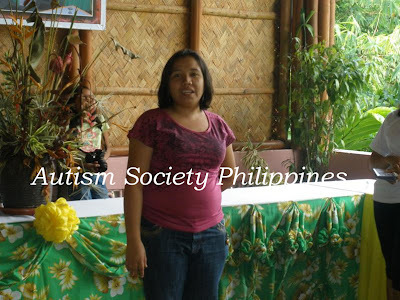 Teacher Aracel who spoke in behalf of the participants, graciously thanked ASP Laguna for the wonderful experience of learning to teach children with autism. She said that their new found knowledge and skills will definitely help them in teaching these special children. ASP Laguna expresses its heartfelt gratitude to the 4 centers which opened their doors for the participants to observe student-teacher interaction and classroom settings. These centers are: Hope Intervention Center in Calamba City, First Steps Therapy and Intervention Center in Pansol, Calamba City; The Learning Center in Paranaque City and Bridges Foundation in Quezon City. ASP Laguna is also very thankful to the Franciscan Montessori School of the Nativity, with its Administrator Sister Ermelinda Cortez and the Batong Malake Day Care Center which served as the venue for the lectures and the actual hands on, respectively.